Florida Atlantic University’s Christine E. Lynn College of Nursing at the Boca Campus offers a fast track option for completing your bachelor of science in nursing (BSN). 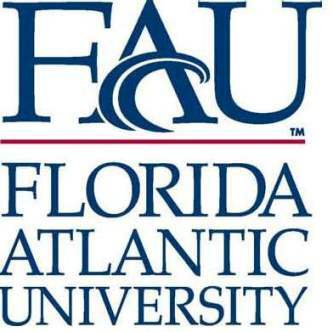 Students accepted into the popular FAU nursing accelerated program can complete the intensive degree program in a short twelve months with all the required classroom and clinical work required for state licensing agencies. The program has limited room and requires students to follow a rigid schedule to meet all of the demands in the one year time period. Classes begin in May during the first summer session; FAU nursing accelerated students must take 16 academic hours during the summer session, 19 in the fall and 20 in the springs. Students accepted into the FAU nursing accelerated program are advised not to be employed during the fast-paced and demanding program. Clinical learning will account for 20-30 hours of work a week outside of regular classwork. The accelerated curriculum will cover subjects in nursing technology, techniques, pathophysiology,specific nursing situations and research. Students must meet strict requirements to be accepted. The accelerated program does not include all courses. Students must complete a number of courses prior to acceptance,including mathematics, English, sciences, history and social sciences. All grades must be a “C” or better with a minimum overall GPA of 3.0. Prerequisite course grades must be official by the application deadline. As an acceptable alternative, students may complete CLEP examinations in place of required courses. Applicants are required to take and pass the Test of Essential Academic Skills (TEAS) Exam with a national rank greater than 70, provide a writing sample, complete a personal interview. Upon acceptance submit to a full background check and drug screening. All requirements must be completed by December 31st for acceptance into the FAU accelerated nursing program. © 2019 ACCELERATED NURSING All Rights Reserved.